Being a CAMRA Chairman is a mixed bag; some pleasant, some mundane and some downright like drudgery. But its my "job" - a labour of love - a calling if you like and therefore not one that I expect great plaudits for. Of course small things mean a lot when they do occur. There is a lot of talk about how the trade resent CAMRA to varying degrees. That may be so in some places, but as my branch has never been swayed by freebies (rarely even offered any) and seems to have good relationships with our publicans, maybe we are doing something right. Those publicans that actually care about beer and what they do with it and want to keep their businesses vibrant seem to like us. I am struck particularly by the number of requests I am getting lately for advice. It seems that real ale, cask conditioned beer, is a must have to drive business for a lot of publicans and equally there are a lot of good pubs that have fallen from grace by a series of bad luck or incompetence, or more often, due to the greedy Pub Companies that are now ending up in the hands of people with some nous and less debt round their necks. I have two such cases on my books at present. Thus it was yesterday I went to a pub beer festival that I had given some advice on. The pub landlady had thought it through too, choosing the Royal Wedding Day to launch it and then with beer to sell, had worked out in advance that the local home team would fill the pub today and live football would help tomorrow. Coupled with good advertising, banners outside, local press coverage and CAMRA advice and with Bank Holiday Monday to finish it all off, Bob should be your parents sibling. I certainly hope so, as she has done all the right things. It was also good to talk about the future and her determination to get the pub back to its glory days. She saw CAMRA to be key in this, which is the gratifying bit I referred to earlier. It is always good to work with people that actually care about what they do and of course, to be appreciated. Another interesting snippet I picked up was how supportive Punch Taverns had been. They had allowed her to buy out of the tie to get interesting local beers in for the festival and would work with her to make things better in the future. A light at the end of the tunnel perhaps? Let's hope so. So, a good day "work" wise. Nice when that happens. A neat touch was the open cellar where you could view the cask beers being prepared and see how clean it all is. Great call that. 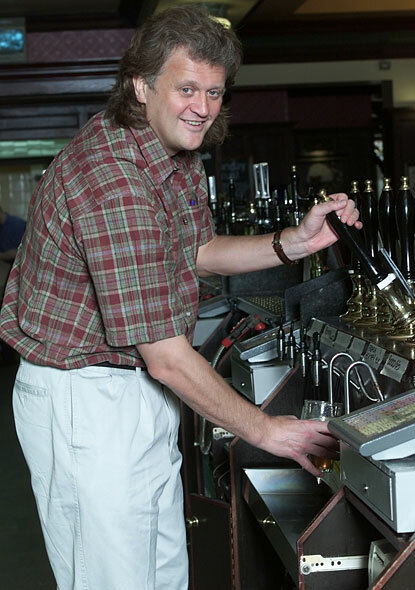 For those Wetherspoon haters out there - you know who you are - there is both bad news and very bad news. The bad news is that JDW has just opened its 800th pub and the very bad news? Tim Martin, the founder, aims to keep going until he has 1600 of them. This was revealed last week, but in an excellent interview in the London Standard he talks about it in some detail and includes the following scathing words about the PubCos "Two extraordinary groups of fools conspired to make them possible. The brewers to give them the pubs in the first place and the banks to lend them the money." Exactly so and he could have gone on to say that the error was repeated and compounded, until a largely debt free pub trade became so debt laden that the present state of affairs occurs. When people bang on about prices and smoking bans, look to the PubCo model to see where things were made far worse, to the point of unsurvivability for many. A word of caution emerges too. JDW is a good employer, preferring to build growth and pay and treat staff remarkably well compared to much of the industry. The City and asset strippers don't like that and would possibly like the more short term strategy. As the article says: "For a long time, the City couldn't get 'Spoons at all. Its way of doing things - invest for the long term, treat people well - is anathema to the Square Mile's whole way of being.Analysts still can't understand why Martin doesn't just cut staff benefits and shove up prices to take profits higher in the short term." So back to the Wetherspoon haters. Be glad that Timbo is in charge or we'd have an entirely less diverse JDW on our High Streets and a lot less quality real ale available. Be thankful for the choice that JDW offers and hang on to nurse at all costs. There is plenty worse out there slavering in the wings. Tim, at least, is a Beer Man. And that counts. A lot. It was remarked from the top table no less, at the CAMRA AGM in Sheffield, that in addition to having one of the most vibrant and enjoyable pub scenes in the UK for good beer, how reasonably priced it all was in our temporary home. It seemed most pints were around the £2.30 to £2.60 range with a few exceptions. I wonder too. These prices weren't just for local beers, but seemed to also apply in the free houses, where the beers came from near and far. Now Sheffield is very competitive and there are plenty good and varied free houses to choose from. Is it as simple as that? I really don't know, but we were all wondering how they do it given the upward price pressure on pubs that we all know about. Equally some were wondering why others elsewhere in the country can't. Or don't. When we are asked by the venue management of the home of the National Winter Ales Festival what sort of food we want for the event, my mate Graham, the Organiser, always chirrups " beer blotters" - "something to soak up the ale"; or as I alternatively say and add, "something to put you on, not fill you up." On Saturday, at the landlady's pub, which offers excellent grub, a punter said to her after perusing the menu, "I'd just like a plain simple roast beef sandwich - no salad, no garnish, no chips". This was produced, the landlady being an obliging sort. It set me thinking that the good old fashioned bar snack - the something to put you on - is pretty much an endangered species. If I'm in a pub, I often fancy a simple filled roll, or the like, but rarely is such a beast available. If the beer is good, or just if I'm peckish, I want something that will stop me getting pissed, but not stop me dead in my tracks and prevent a few more pints. Isn't that something that the pub ought to want too? In the West Midlands and some parts of the country, this tradition is safe. Filled rolls are common in the Black Country and in the West Midlands, the hot roast pork sandwich is widely available, reasonably priced and welcome. In Sheffield at the CAMRA AGM, the adjacent Thornbridge badged pub had an excellent roast pork bap (with a few chunky chips) for just under four quid. Perfect. Are a lot of pubs missing a trick here in not providing reasonably priced snacks as well as full meals? I'd say so, but what do others think? The photo was taken two years ago in the Black Country and the cob is the size of a baby's head! That's a pint next to it. It's been a quiet week beer wise really. Another trip to Scotland with brief flurries into a couple of JDWs between stations and a reminder that in the pub game, things can quickly change. I have mentioned the very grand Counting House more than once, the first time back in 2008, but to me it has slipped badly, with a range of beers chosen it seems from the arse end of Scottish brewing and very little leavening of decent ales from elsewhere. The quality isn't brilliant either, though the splendour of this former banking hall remains undiminished. I always look into the Drum and Monkey and recently praised them, but on Tuesday it was Caledonian beers all the way. On my return to Central Station on Thursday it was the same. If you don't like Caledonian beers you are knocked out of the game. Bad move I'd say and hopefully a one off. So today I am off to see the landlady in Delph. We'll need two buses and can stop off in the various Pennine villages too. It should be a nice day out in the far reaches of my CAMRA Branch area and as the pubs will all be Good Beer Guide or Good Beer Guide designate, I'm expecting great beer. With me, I have the lovely E, whose palate, like many women beer drinkers, is impeccable. If you think I can be critical about beer you ought to see her in action. I'll let you know. 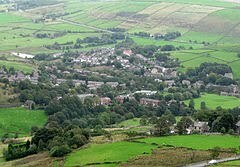 The photo is of Delph. Nice innit? Nice place Sheffield, but somewhat hilly. Lots of good pubs and beer and a great tram system taking you to the door of many of said pubs. Trams are the biz. There's also a chance to meet old friends and drink a few beers too and to listen to the great and good of CAMRA speak on what many regarded as a somewhat boring agenda. Somehow this turned into a close run thing with tellers called a few times as votes were so close, though not you'll be glad to know, on the two nuttier resolutions mentioned by Jeff Pickthall in his blog. These were unequivocally thrown out. The Bloggerati even got a mention by the National Chairman along the lines of "drink what you like, but we campaign for real ale" which some readers may find inconvenient, though surely not surprising and with a very positive Campaigns Report from Mike Benner, our CEO, it was pretty reaffirming for those there, actually enjoyable and a reminder that being part of something is really rather satisfying. So for CAMRA, it is business as usual, but with the Strategy Review feeding into the next Strategic plan, we'll have more focus and I believe, undiminished enthusiasm. We campaign for real ale. No apologies for that! *Better still, have it bought for you! I'm going out with the ever thirsty Tyson later, but I see the bugger has already got a start on me! Going by experience, he'll probably get the better of me at the end too! Of course he is younger, but I'll still stick to tea in the mornings. Vienna's brewpubs seem to make little enough of the fact that they brew. Most hardly tell you at all from the outside that they are a brewery and scarcely make a feature of it in the way, say an American one might. It's a kind of understated thing which is puzzling in many ways. Regrettably the beer is usually equally understated and again you wonder why. Siebensternbrau is oddly enough in Siebensterngasse, so at least no puzzle about the name then. It is big, but surprisingly cosy, with warm wood tones, the brewery providing a feature and various raised areas and upstairs rooms breaking it all up. The main areas are thankfully smoke free, the staff gruff, but friendly enough and of course there is home brewed beer. No Germanic brewpub would be seen dead not offering an unfiltered helles and dunkles bier and here is no exception. The dunkel is billed as being in the Prague style, though I imagine most self respecting Czechs would doubt that this thin, rather bland liquid would qualify. The helles is a lot less cloudy than most and despite the description of "hoppy", what was missing most from this beer was, well, hops. 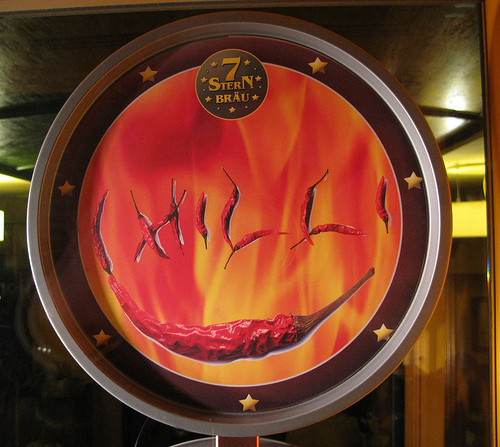 On the speciality side is a chilli beer, which oddly is pale. Somehow I'd say chilli in beer works best in a really dark beer and then in considerably less Tom Yum quantities than here. This wasn't pleasant. The other oddity is a hemp beer which was, well, just odd. Not unpleasant - odd and I didn't try the Bamberger Rauch Bier. My dislike of smoked beer is a matter of record. E left grumbling about unfiltered beer, her usual concern in these places. The pick of the bunch was probably a rather sweet maerzen, so regrettably overall I didn't rate it that highly beer wise, though as a destination it was really rather good and of course, your tastes and judgements may differ and the range does change. It has a great atmosphere though and is good for people watching and the food was typically filling. Our pub sits on a hill, amidst farming territory at the edge of a country park popular with walkers. It is reached by an unmetalled lane a mile from each of the nearest main roads. The area is also a favourite of those just out for a more leisurely stroll. It brings the pub a fair bit of business. When I got there yesterday at around two o'clock, it was pretty empty and while I waited for someone to serve me, (judging by the blue smoke there was a burger crisis in the kitchen) a visitor remarked to me that he'd thought a pub like this would be bursting at the seams on such a fine day as yesterday. It has always been a bit of a mystery to us that drink there as well. On the foulest of days, the pub, despite its relative remoteness, is usually very busy indeed; but often on beautiful days it isn't. I conclude that walkers like to press on when the weather is good, but like to cut short and linger over beer when it isn't. Or just like some locals, they like to sit about their back gardens on a lovely day. Of course like most of these things that rule isn't hard and fast, but yesterday it was mostly us locals and another reminder of the fickleness of the pub trade. Of course walkers, like us locals, are a funny lot anyway, so that might well explain it too. It isn't that usual to come across Fyne Ales beers in this neck of the woods, but last week in the redoubtable Baum I did. Funnily enough when scanning the pump clips I somehow overlooked the Fyne Ales offering, no doubt because I immediately honed in on Mallinsons Europa. (Trust me on this one, Mallinsons are never a bad choice for the lover of pale hoppy beers.) Nonetheless the lovely E is much more considered in these matters and spotted Fyne Ales Hurricane Jack lurking at the end of the bank of pumps and after enquiring after its colour, duly procured a half, remarking as she did that if it was half as good as Jarl, she was in for a treat. 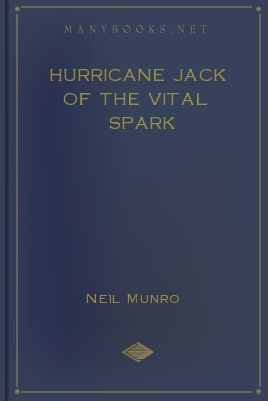 Now the Mallinsons was lovely, as they usually are, but the Hurricane Jack was a revelation. A beautifully balanced, hop coated, mouth filling beer of immense drinkability. When my Mallinsons was done, I immediately procured a pint. Gorgeous. How do you like to ingest your vodka? Presumably the usual way, in a glass, topped up with the mixer of your choice. Not so for German teenagers. The Local has the story. You may feel queasy after reading it though! 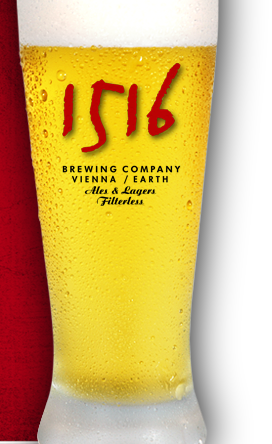 When we walked into the somewhat austerely named 1516 Brewpub, I was immediately aware that despite superficial sameness, I was not, as I often am, in Germany, but non rheinheitsgebot Vienna. A huge and almost physical wave of new world hop aroma enveloped me me and almost catapulted me back into the street. They were brewing and C hop aromas were billowing forcefully from the brewery. I was happy. This was very promising. 1516 is the most innovative by far of the many brewpubs in this lovely city. Down a fairly nondescript side street, it has a nice outside seating area in front and is cozy and dark inside. Beware though. Even when fairly empty it is very smoky indeed and you may wish to choose where you sit outside carefully too, as there as inside, the smoker is omnipresent. Nonetheless we sat in the warm spring sunshine amid a huge crew of noisy French speaking Belgians, there to see there football team play Austria in the European Championship. There were two specials on. Eejit Stout is a roasty, dry and tasty number which was excellent but the stunning star of the show was the Victory Hop Devil take off, which was incredibly bitter and resinous and frankly, a bargain at €3.50 a half litre. Simply a cracking beer. The food is fantastic here too and in very satisfying portions. I was at a birthday party yesterday at the well known Angel in Manchester. The pub is normally closed on a Sunday, but my mate Jim whose birthday it was and is a regular there, had arranged for it open for him as a private function. 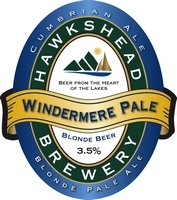 I started with Hawkshead Windermere Pale and such was the appeal of this splendidly hoppy, Citra dominated, pale beer, that I almost continued with it to the end of the do, despite, or possibly because of its relatively weak 3.5% strength. Of course the road to Hell is paved with good intentions and the fast moving Lakeland Gold handpump was far too tempting. Resinously bitter, but easy drinking, it made the stepping up adjustment all too easy. I've said it before and will say it again. 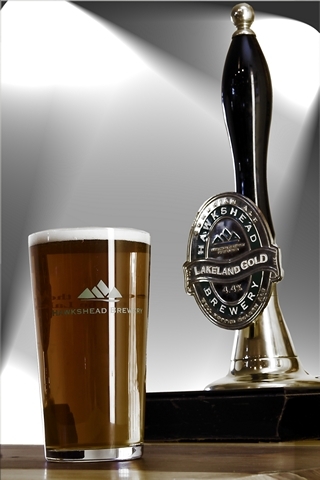 Hawkshead have a superb range of beers and they certainly aren't afraid of using hops at the front of each beer , all of which seem to complement each other to a remarkable extent, despite being very different. They are one of the top breweries in the UK presently, with an attention to detail and exacting standars of production that few match. While they do bottle, this has been done mainly by brewing a simply superb range of cask conditioned ales that you want to drink a few of. And you know, drinking a few pints of beer that you can really enjoy one after the other, is still in these days of edgy, hard to drink beers of doubtful quality, something to treasure. So seek them out and to enjoy at their best, make sure the beer is sparkled as the brewery intends. Friday saw my first real foray into the JDW Fest. Somewhat surprisingly, bloggers seem to have largely ignored this event, so I was somewhat in the dark. Thus, on my way back to Manchester, I spent a couple of hours in Glasgow, where there are three JDWs within a cockstride of Central Station. I started off with my new favourite, Camperdown Place, which alas did not meet the standards of the esteemed Barm. However I have no inbuilt anti Wetherspoon bias and very much like chatty, helpful and pleasant bar staff, a comfortable atmosphere and proximity to a station, so it is just fine by me. Pick of the bunch I tried was Oakham Taipan which, despite the absence of the promised ginger, was very fine indeed. I also enjoyed Holden's April Showers which was remarkably bitter for a Holdens beer. My least favourite here was Hydes Plum Treat which was neither remotely plummy, nor a treat. On a similar vein, Thwaites Bloomin' Smoky wasn't remotely smoky - a good thing in my view - but do you see a theme emerging here of promised ingredients not delivering? The Counting House just across the road, had been forced to wake up from its dark Scottish beer coma and had a few different beers on. I liked Bateman's All Seasons, which tasted exactly like any other Bateman's beer you have ever tried, but is a taste I like. Less keen I was on Lancaster Kingmaker, which was sugary and unbalanced; Jennings Cocky Blonde was green, hazy and not ready for serving. It shouldn't have been on the bar, but you certainly couldn't complain about the lack of blackberry in Mauldon's Blackberry Porter, as it was hoaching with them - too much so in fact and while Brain's Milkwood was good, Wolf Blonde was a big miss for this reporter at least. Last of the Central Station trio was the Sir John Moore, where Elgood's Spring Challenge was the only beer (of three) I hadn't tried. It was rather decent too, in a splendidly old fashioned way. This pub probably fits the JDW stereotype much more than the other two, but ho hum. As I was meeting E at Manchester Piccadilly, I had time to break my journey in Preston. The Greyfriar was literally eight deep at the bar at around six thirty, I couldn't even see what was on the forest of pumps which, like a distant mountain range, was tantalising but beyond my reach, though somehow I managed to weave my way up through a raised seating area, to a corner of the bar, dragging my luggage behind me. I could only see two handpumps from this rather poor vantage point, so halves of Green Jack Orange Wheat and Triple F Ramble Tamble were ordered, both of which were excellent, with the TripleF shading it. By this time the gap at the bar, like a time portal, had closed for good, so back to the station I went.